We are delighted that you are interested in Adath Israel. Adath Israel is a community dedicated to serving God by serving others, and connecting the values and visions of the Jewish People to our lives today. As a family we learn, worship, grow, celebrate, play, and, most importantly, engage in acts of Tikkun Olam together, working to make the world what God dreams it to be. Most of all, we are a community where people feel at home, filled with friends who are always there to extend a hand. We are a wonderfully diverse and open community of individuals and families, single and married, interfaith, multi-cultural, divorced, widowed, LBGT, friends of Israel, religious, spiritual and/or simply seeking. Our doors are wide open — come as you are! Our approach to Judaism is open and egalitarian and, at the same time, traditional and committed to the precepts of Conservative Judaism. You are part of our synagogue family, making Jewish friends and gaining a community with which to celebrate life-cycle events. Our Membership dues are very affordable. Your children may enroll in Religious School for a comprehensive curriculum of Jewish learning with well-trained educators. You are welcome to Shabbat, holiday services, and the daily morning minyan. We have many opportunities for congregant participation and leadership. Your membership includes our monthly bulletin Kolot and our weekly emailed newsletter detailing weekly happenings. Burial rites at Adath Israel Cemetery. Your membership includes affiliation with the United Synagogue of Conservative Judaism and you will receive its quarterly magazine “Review”. 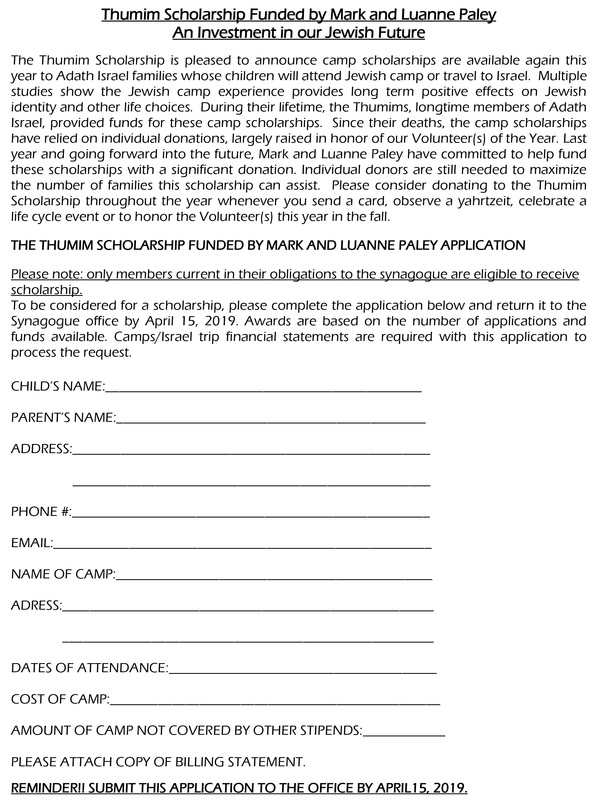 No individual or family is ever denied an opportunity to join Adath Israel or participate as a member in any synagogue event because of financial limitations. We invite you to learn more about our congregation. Come sample Shabbat services, religious school and adult education classes, or events, to experience firsthand the warmth, spirit, and depth of our community. We’d love to meet you! Call ahead and meet with the Rabbi and our staff. Experience the community that is Adath Israel. Our office hours are Monday through Thursday, 8:30 a.m. to 3:00 p.m., and Friday 8:30 a.m. to 1:00 p.m.
You are investing in the future of Judaism for you, your family, and the community. You may now pay your Membership Dues Through Paypal online. Once you finish paying please contact the office at 860-346-4709 to let them know you have paid. Benefactor and Mitzvah memberships are voluntary for those members who are able and willing to support the synagogue with a higher level of annual contributions. **This rate is for long time Middletown residents/members who have moved out of state for retirement purposes. *If membership within 90 days, $50.00 of each seat purchased will be applied to dues. Please contact the office for more info regarding high holy day seats. Call the synagogue office to reserve and/or change seats. Fees are Per Child unless otherwise stated. The fiscal year runs from August 1 through July 31. Annual contributions are payable upon receipt of statement or through regular installments with 75% completed by March 31, and the full amount paid by April 30. New Members: Please enclose check for the first year’s annual contribution or a completed credit card payment plan with membership application (Checks should be made payable to Adath Israel). If you need to speak to someone regarding membership contributions, please call the office.